Canadian retailer Sporting Life has launched a 1pm in-store speaking series in Calgary’s South Centre Mall to commemorate Canada’s 150th Birthday this year. The company, originally founded in Toronto in 1979, maintains its Canadian root and authenticity where at present is still managed by co-owners and co-founders Patti and David Russell, as well as many of the long-term original store employees. The first of four speaking series began on April 8th hosted by friend Julie Remond of style by jr where she touched on styling tips and shared her favorite Canadian designers. The following speaking series include: May 6th with YYC Cycle’s Andrew Obrecht on “Motivation”, June 10th with Matt Mosteller from Powder Matt to show you where to go and what you need to know about for mountain biking, and July 8th with Leigh McAdam of HikeBikeTravel to hear her amazing stories about discovering the best places in Canada. 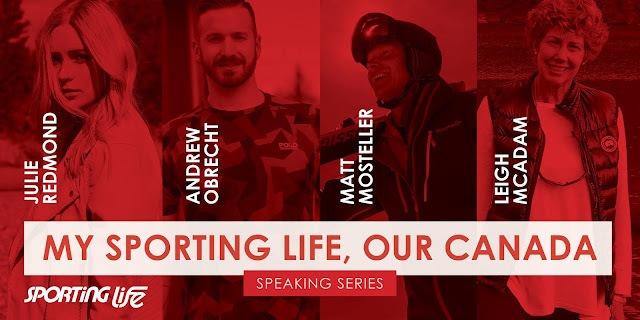 The intent of Sporting Life’s speaking series is to teach and encourage audience to embrace the beauty and opportunities in Canada, in addition to featuring and highlighting some of the top Canadian designers brands they carry in store. Attendees are encouraged to register in advance if they want to participate in these talks. You can visit www.mysportinglifeourcanada.eventbrite.ca for registration.